Cleveland Cavaliers big man Kevin Love has missed most of the season with a toe injury that required surgery, but the perennial All-Star may be returning to the Cavs’ lineup for their game against the Washington Wizards on Friday night, according to Joe Vardon of The Athletic. 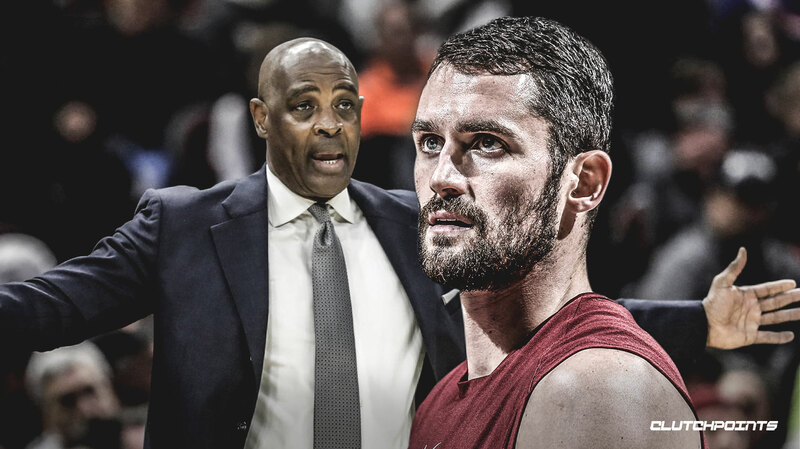 Cleveland head coach Larry Drew said that it would be “weird” to play with Love (per Vardon), seeing as how Love has only played in four games throughout the 2018-19 campaign and has not yet played under Drew as head coach. However, Drew added that Love would obviously be a welcome addition to what has been a miserable year overall for the Cavs. In the limited action that Love has played this season, the 30-year-old has averaged 19 points, 13.5 rebounds and 3.5 assists over 34 minutes per game while shooting 32.3 percent from the floor, 29.2 percent from three-point range, and 81.8 percent from the free-throw line. Remember: at that time, Tyronn Lue was still head coach of the Cavs. Love originally arrived in Cleveland during the summer of 2015 when he came over in a trade with the Minnesota Timberwolves. The Cavs sent No. 1 overall pick Andrew Wiggins to the Timberwolves in return. Love joined a Cavs team that featured Kyrie Irving and the newly-signed LeBron James. The trio would then go on to reach the NBA Finals in three consecutive seasons, winning the championship during the 2015-16 campaign. Irving was then traded to the Boston Celtics during the summer of 2017, but the Cavs would still make one last finals appearance last year before James signed with the Los Angeles Lakers.